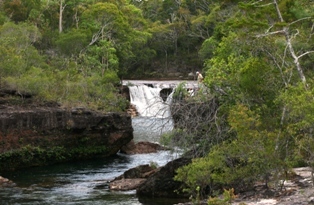 You have got in a lot of waterfalls around where I live in north Queensland, Australia. 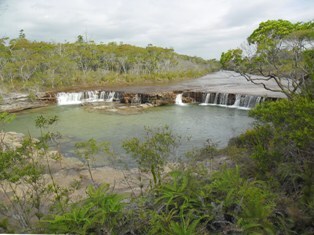 The waterfalls of Atherton Tablelands bring back memories for me, and the Mt Hypipamee crater. But i do have something to add as apparently you didn’t venture into Cape York. 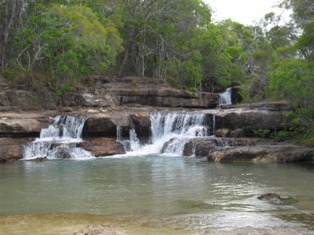 There are three beautiful falls, they are not high, but they are still very pretty and they make great swimming spots – Cape York can be a very hot place. They are all half way up the famous Old Telegraph Track (but also reached by the easier Bypass Roads). So next time you come down this way, I really recommend you to discover Cape York and visit Eliot and Twin Falls, as well as Fruit Bat Falls!